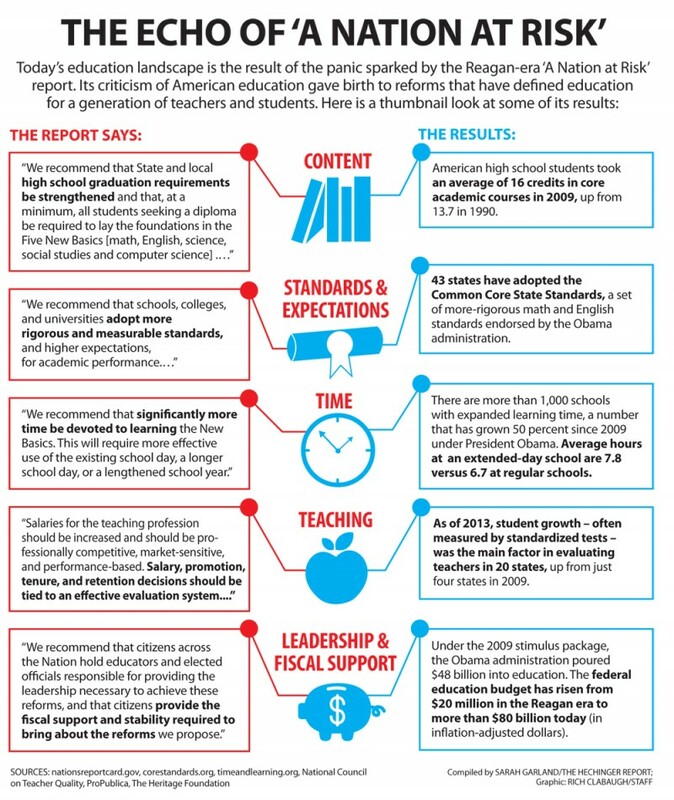 Why is a Reagan-era report driving today’s education reform? 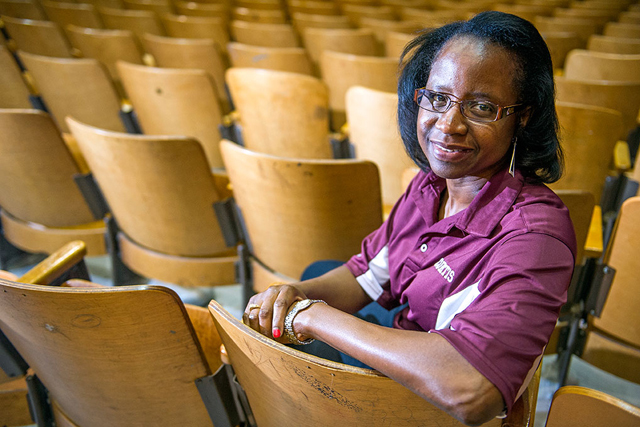 Staten Island, N.Y. — On the last day of school in June, Principal Aurelia Curtis was harried. An auditorium full of teachers was waiting for her. But instead of congratulating them on a good year and sending off three retiring staff members, she was in her office signing the last of the 742 teacher evaluation forms for her staff of nearly 150 that she had to finish by an end-of-year deadline. Ms. Curtis, a stern but beloved leader who shares her name with Curtis High School here in Staten Island, N.Y., where she began her career 30 years ago, spends more time these days filling out intensive teacher evaluations required by the state than she does talking to her teachers. Or that’s how it often feels. Likewise, her teachers and students spend less time in meaningful discussions and more time worrying about the tests that will help decide those teacher evaluation scores. “We’re trying to quantify everything,” she says. Yet as the school year opens and students return to the sprawling Gothic building on a hill with views of the Statue of Liberty, Curtis will be starting on another pile of 700-plus forms meant to tell her which of her teachers are good and which aren’t. The new evaluation system, along with many of the other changes roiling American education, can be traced directly back to a set of old ideas – as old as Curtis’s tenure at Curtis High. The push for new teacher evaluations, new standards, new curricula, and new tests began with “A Nation at Risk,” a report published in 1983 that busy educators like Curtis usually don’t have much time to think about. But in many ways, the report has defined the careers of a generation of educators like her – and the educations of a generation of American public school students. The document set off panic in a once self-satisfied nation and launched a movement to transform the public education system. A generation later, its effects are powerful. The excoriation of American schooling is what most people remember, but its actual legacy is ingrained in public education today. The report’s five proposed solutions – improving content, raising standards, overhauling the teaching profession, adding time to the school day and year, and improving leadership and fiscal support – are clear in current reform. They can be seen in the spread of the Common Core standards, a set of streamlined but intense new standards introduced in 2009 that, though controversial, are still in use in more than 40 states; in new teacher ratings based partly on standardized test scores; and in the invention and rise of charter schools with longer school days and no union contracts. Initially embraced by a coalition of conservatives and liberals, the solutions offered in “A Nation at Risk” stoked a backlash among many on the left who argued that its criticisms of public education were over the top and that its solutions ignored poverty and inequity in the system. But the Republican-driven revolution is being driven home, as never before, by a Democratic president. The Obama administration admits there’s a connection. Education Secretary Arne Duncan has said the report was “influential” in the administration’s education reform strategy. So why are ideas from a report that once provoked fury among many on the left having their heyday now? “The legs of that stool haven’t changed very much. What’s changed is what you do about them,” added Mr. Goldberg, now chancellor of Jones International University, a for-profit institution in Centennial, Colo. Indeed, the fallout from “A Nation at Risk” has not always been what its writers expected. Before “A Nation at Risk,” the federal government’s role in education was minimal, as the report’s authors believed was proper, and Reagan had even wanted to abolish the federal Education Department. The government had mainly focused on finishing the work of desegregation. But as many policy prescriptions from the report and the movement it fueled become reality, they’re sparking a another backlash among those who say the country has embraced the worst of “A Nation at Risk” – an overhyped sense of crisis and business-focused mentality – and turned its back on the report’s best ideas about empowering teachers, raising expectations for students, and identifying and training better school leaders. In many ways, the report succeeded: It brought a revolution to American public education. The report laid the groundwork for a movement bent on exploding the traditional way of doing things at relics like Curtis High School, where murals honoring graduates who died in the world wars flank banners celebrating sports championships. Now, the landscape of schools looks very different from the way it did three decades ago. 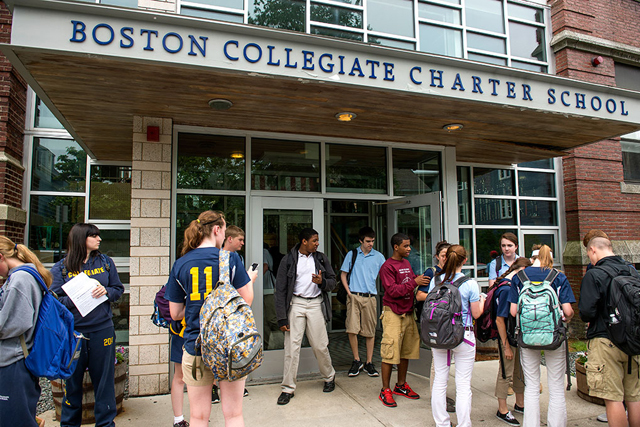 Boston Collegiate, a charter school unfettered by teacher union rules and district red tape, is one of the new generation of schools spawned by the report that offer alternatives to – and in some cases replace – older neighborhood institutions such as Curtis. 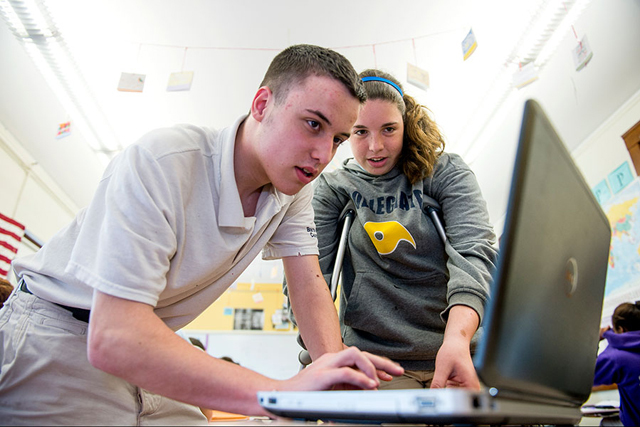 The charter school, founded in 1998 in South Boston, has a single-minded mission to send each of its graduates – most of them low-income students – to college. To make that happen, Boston Collegiate students attend Saturday classes and late afternoon tutoring and homework hours, teachers undergo intensive annual evaluations and can be fired at will, and educators have embraced standards shared by schools across the nation. The school prides itself on the high achievement of its students, including top scores on state standardized tests. On an afternoon near the end of school in June, Nairobi Fernandez, an outgoing and confident junior, was discussing her college plans. After having done an internship in the labor and delivery ward at a local hospital, she wants to become a midwife. 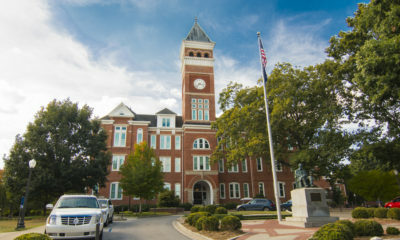 But she has struggled to keep up her grades, so she said she was thinking of enrolling in community college instead of a four-year institution. Sarah Muncey, the school’s director of operations, interjected. Nairobi should not settle for community college, Ms. Muncey told her. She should at least apply to a four-year school. Educators and education advocates from across the political spectrum – teachers unions and their critics alike – praise this outcome of “A Nation at Risk.” Expectations for students have increased, and confronting the achievement gap between haves and have-nots has become a priority in education reform. Principal Curtis is among those who link this shift back to “A Nation at Risk.” Common Core is an ideal example of how expectations are rising, and she’s thrilled to witness her teachers encouraging students to think deeper and more critically. “I fundamentally agree with the premise of standards, and the Common Core standards,” she says, noting that her school has adopted the rigorous International Baccalaureate program for one of the academic “houses” students join. The curriculum is based on tough standards that call for critical thinking and creative problem-solving and have helped boost the school to new levels of success, she says. Curtis High has appeared on lists of America’s best high schools, and despite a high rate of poverty – 72 percent of its students qualify for free or reduced-price lunches – the graduation rate mirrors that of the nation as a whole, about 80 percent. But many in education, including Curtis, believe the report’s success at raising expectations, especially for traditionally disadvantaged groups, has also had a dark side: the rise of the standardized test. Testing was a small sub-recommendation of “A Nation at Risk.” It was one of eight in the section promoting higher standards and called on states to give “standardized tests of achievement” at major transition points to identify either the need for remediation or advancement. Yet now, much of the debate around the legacy of “A Nation at Risk” is centered on the large role that testing has come to play in reform. But the other side sees high-stakes tests as corrupting, not saving education. “[The] definition of excellence [given in “A Nation at Risk”] was that you set very high expectations and goals for all students, and to be deemed an excellent school you would try every way possible to help students reach them. That’s where we took a 180-degree turn,” says Dennis Van Roekel, outgoing president of the National Education Association, the country’s largest teachers union. The main culprit, according to the critics, was No Child Left Behind, which passed Congress with overwhelming bipartisan support and was signed into law by President Bush in 2002. The intention of NCLB was to reveal achievement gaps between children that fell along racial and economic lines, and to hold schools and districts accountable for closing them. To do that, it required schools to be evaluated based on whether all their students achieved proficiency on standardized tests. It addressed a shortfall many saw in “A Nation at Risk,” which didn’t focus on the inequality in the public education system much beyond suggesting that disadvantaged students might need tutoring or smaller classes. In subsequent years, many in education came to see NCLB as equally flawed, however. While achievement rose in math, it stayed stagnant in reading. And the gaps fluctuated, but didn’t significantly narrow. Schools didn’t receive two additional federal resources needed to address the inequities. When President Obama arrived, that changed. “[W]hile there are some of his initiatives that build on state-level efforts inspired partly by ‘Nation at Risk,’ there’s also been a major focus on more resources and funding and equitable funding that was missing,” says Jon Schnur, executive chairman of America Achieves, a nonprofit advocacy group, and a senior adviser in Mr. Obama’s transition team. With the 2009 federal stimulus, Obama poured $48 billion into education, including two high-profile competitions: Race to the Top and the School Improvement Grants program. The two programs dangled billions of dollars for states, districts, and schools in exchange for certain changes in how schools were run and, in particular, how teachers were treated. Many of the proposals seemed copied right out of the 1983 report. States were encouraged to adopt more rigorous and measurable standards (most states decided on Common Core) and to open more charter schools, which typically cost taxpayers less money to run and operate outside district and union rules. Struggling schools were required to expand the school day and year to receive federal improvement funds. And states and districts seeking to win Race to the Top and, later, a waiver from the increasingly onerous requirements of the old NCLB law, were asked to rethink how teachers were evaluated, paid, promoted and let go. The money pouring into schools in part made up for the discomfort among the administration’s liberal allies. 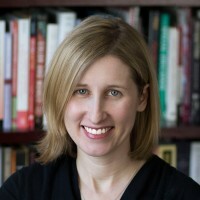 Teachers unions, for instance, although wary, supported Race to the Top because it called for states to work with teachers in developing the new systems. The changes were rapid. As of last year, 20 states used student growth – often as measured by standardized tests – as the main factor in evaluating teachers, up from just four in 2009, according to the National Council on Teacher Quality, an advocacy group. It was “a seismic shift rarely seen in education policy,” the organization said. Nationwide, the number of students in charter schools nearly doubled. And now there are more than 1,000 schools with significantly longer school days and years than the average – a number that has grown by more than 50 percent during Obama’s term in office. But bipartisan criticism has also grown. The agenda might match almost perfectly with a document promoted by the Reagan administration, yet on the right, perceptions that the federal government is muscling in on local education decisions has fueled a revolt against Common Core, in particular. The backlash has threatened the viability of the new policies. Originally, 45 states adopted Common Core, but several have dropped out in the past year. Many jurisdictions are also balking at the testing component of Common Core and the new teacher evaluations. And for the policies to stick, schools will need to log more rapid gains in achievement than the incremental progress of the past three decades. The ideas for reform espoused in “A Nation at Risk” are just a part of what schools need to go from mediocre to great, according to educators at both Curtis High and Boston Collegiate. As different as the schools are, administrators and teachers at both schools have similar concerns about what’s been lost in the push to set standards and measure performance. Goldberg is happy about the recent progress on the main policy prescriptions of “A Nation at Risk,” but he’s also realistic that it isn’t enough to realize the report’s ultimate goals – that could take several decades more and ideas beyond the five solutions. This story was produced in partnership with The Christian Science Monitor. Reproduction is not permitted.